The Boys Middle School league is overseen by a group of appointed Program representatives called the Middle School Coaches Council. These representatives are lead by the SNLA MS Commissioner. As of 2016 the middle school league is made up of 11 middle school programs. Within the middle school league we have divisions 1, 2, 3 and 4 teams. The Coaches Council works tirelessly to make the middle school league run more efficiently than in past years. If you have questions about the league, it's structure, this council or it's rules, please read the Rules and Regulations. 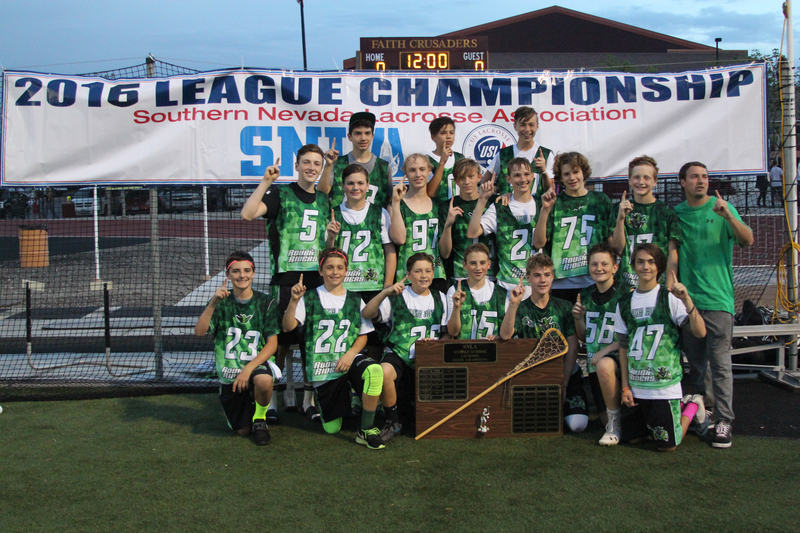 There is 1 season for youth lacrosse run through SNLA. Registration begins November 1. You will usually have 1 weeknight game and Saturday games. During the Fall there are many camps and programs that offer fall lacrosse. As the league continue to grow, we look for additional field space that is convenient and available. This may require some travel to meet opponents. Click Here to see the field locations. If you have access to a field that would be available for youth games, please . The SNLA and the Boys Middle School Council tries to make travel to practice easy on everyone, along with keeping things fair in the league. There is no recruiting allowed in our leagues and we found that basing teams on the HS boundary sufficiently curbed recruiting along with keeping practices nearby. If you sign up for the incorrect boundary we will move you to the correct one. Some boundaries may combine based on the league and team dynamics. We will try to combine boundaries with an insufficient number of players to a team closeby. If you played with a boundary outside of yours in the past there is no guarantee you will be playing there the next season. We want to help the expansion of lacrosse into new areas, so if there is enough for a team in a new boundary we will do what we can to get that team up and running. Soliciting help from the high school team can also help establish new youth team. Contacts for high school is located on the TEAMS page (select the specific high school you'd like to contact and their contact page will display on the right side of the page).